More powerful than its siblings, the Côte Blonde is the longest lived member of the Rostaing family. 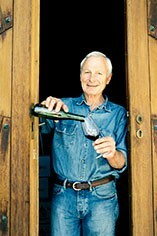 From 80 year old vines, with clay, iron and gneiss soils, this wine is aged in barrique rather than demi-muid, its structure thus differing from the Landonne; the soil lending more minerality and a touch less acidity, the wood affording a creamy texture in support of the rich blackberry and cassis fruit. 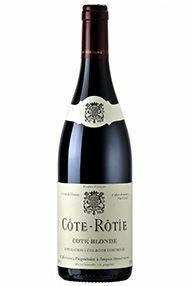 This is a wine of rare complexity and elegance, the quintessence of Côte Rôtie in short. The Wine Advocate - Truly blockbuster stuff, and a wine that will compete with the 99 when its at full maturity, the 2010 Cte Rtie Cte Blonde gave up a spectacular array of sweet red and black raspberry, cassis, violets and underbrush. A full-bodied, impeccably balanced, yet concentrated and massive Cte Rtie, it has world-class tannin quality, a stacked mid-palate and blockbuster length. It will need another decade to show some maturity, and hold nicely through 2040.